The InVision iOS app is available for both iPhone and iPad and allows you to view and collaborate on your prototypes quickly and easily on your device. Read and comment on prototypes; reference, share, and comment on all of your design assets in Boards with a tap; enjoy a faster, higher-fidelity experience online and off; provide feedback directly in-app; and much more. To get started with the InVision iOS app, you'll need to download the InVision iOS app from the App Store. Once you open the InVision iOS app on your device, you'll be prompted to sign in. Enter your account information (email address and password) and tap the Sign in button. If you have a password manager like OnePassword or LastPass enabled on your device, you can use it to sign in. If you are on multiple teams, you will then be prompted to select an account. Tap the desired account to continue logging in. The InVision iOS app also supports SSO for Enterprise accounts. Use the Team Domain and SSO Sign in link on the initial sign-in screen to access your SSO-enabled account. For more info, check out this related article: Accessing a Private Cloud instance via the InVision iOS App. After signing in, you can view your prototypes under the Prototypes tab. Tap each prototype to load it onto your phone. Once this is complete, you’ll be able to view them offline in addition to any prototype share links which you have downloaded. By default, prototypes will be sorted alphanumerically, but once you start using the app, the prototypes will reorder according to what’s been opened most recently. You can search for prototypes by type or name by tapping the spotlight icon at the top right of your screen and entering a name or type, such as iPad, iPhone, Android, etc. Note: Sample prototypes will not appear in the list of prototypes. If you tap a screen in an area without a hotspot, you’ll be able to view hotspot areas. You'll also be able tap and hold on any screen to open a menu that allows you to refresh all screens, enter comment mode, view all screens, or exit the prototype. Heads Up: To view InVision Studio prototypes on our iOS app, use the "Mirroring Studio Prototypes" instructions below. Studio prototypes published to InVision are listed on the Prototypes tab of the iOS app; however, they won't yet open without mirroring. Once you’re signed in, you can access shortcuts from your mobile home screen by force touching the InVision iOS app icon. Tap Share InVision to send the app to a friend or stakeholder via text, tap Conversations to go directly to your latest notifications, or tap Open Last Project to go directly to the last prototype or board you viewed. Click the ••• button next to your prototype name. You can now share the link via any of the options provided by your device (email, SMS, copy link, etc.). Note: There is currently no way to share a single screen from the InVision iOS app. The user test mode in the InVision iOS app lets you and your testing group view and navigate your prototype without swiping or hotspot hinting enabled. In other words, you can conduct more effective user testing with prototypes synced to InVision from Studio, Sketch, or Photoshop. Open the prototype you want to test. In the upper-right corner, touch the ••• (more) menu icon. At the bottom of the screen, touch Refresh prototype (just to ensure you’re testing the latest changes). Again at the bottom of the screen, touch Begin user test. View and navigate the prototype as wanted. Anywhere on the screen, long press until the Prototype Options menu opens. At the bottom of the menu, touch Start over. At the bottom of the menu, touch End user test. Note: You will be returned to the All Screens view for the prototype. 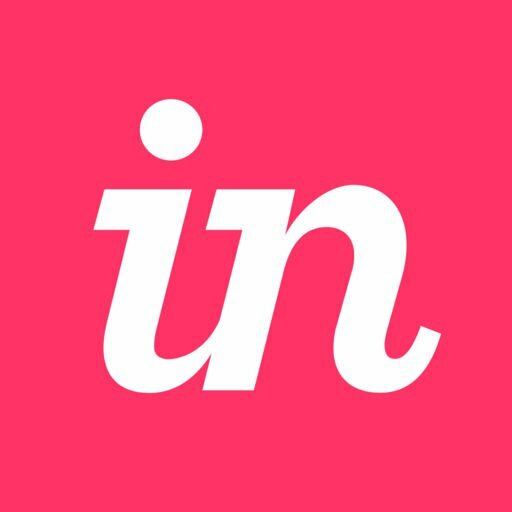 When you use the InVision iOS App, you'll be able to load a prototype once, and it will remain available for offline viewing, unless you sign out of the app. If you sign out, only the prototypes that were loaded via a share link will remain. Enabling airplane mode is recommended, as that will ensure we load from the offline version. Note: If you load a prototype from a share link, open it, and go offline, the prototype will remain, but you will see a warning message display that changes cannot be downloaded.